120011 QAS 14-20 Kd Atlas Copco QAS 14-20 Kd Diesel generator Spare parts catalog. Operation and maintenance manual. Schematics. 120012 QAS 30 Jd Atlas Copco QAS 30 Jd Diesel generator Spare parts catalog. Operation and maintenance manual. Schematics. 120013 QAS 30-40 Kd Atlas Copco QAS 30-40 Kd Diesel generator Spare parts catalog. Operation and maintenance manual. Schematics. 120014 QAS 38 YdS Atlas Copco QAS 38 YdS Diesel generator Spare parts catalog. Operation and maintenance manual. Schematics. 120015 QAS 38 YdS IT Atlas Copco QAS 38 YdS IT Diesel generator Spare parts catalog. Operation and maintenance manual. Schematics. 120016 QAS 48 Pd (S),Pd S IT Atlas Copco QAS 48 Pd (S),Pd S IT Diesel generator Spare parts catalog. Operation and maintenance manual. Schematics. 120017 QAS 58 JD and QAS 78 JD Atlas Copco QAS 58 JD and QAS 78 JD Diesel generator Spare parts catalog. Operation and maintenance manual. Schematics. 120018 QAS 60-80-100 Pd Atlas Copco QAS 60-80-100 Pd Diesel generator Spare parts catalog. Operation and maintenance manual. Schematics. 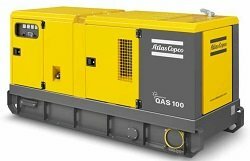 120019 QAS 108JD and QAS 138 JD Atlas Copco QAS 108JD and QAS 138 JD Diesel generator Spare parts catalog. Operation and maintenance manual. Schematics. 120020 QAS 125-150 Volvo Atlas Copco QAS 125-150 Volvo Diesel generator Spare parts catalog. Operation and maintenance manual. Schematics. 120021 QAS 150 John Deere Atlas Copco QAS 150 John Deere Diesel generator Spare parts catalog. Operation and maintenance manual. Schematics. 120022 QAS 200 Volvo Atlas Copco QAS 200 Volvo Diesel generator Spare parts catalog. Operation and maintenance manual. Schematics. 120023 QAS 250 John Deere Atlas Copco QAS 250 John Deere Diesel generator Spare parts catalog. Operation and maintenance manual. Schematics. 120024 QAS 250 John Deere AC Atlas Copco QAS 250 John Deere AC Diesel generator Spare parts catalog. Operation and maintenance manual. Schematics. 120025 QAS 275-325 Volvo Atlas Copco QAS 275-325 Volvo Diesel generator Spare parts catalog. Operation and maintenance manual. Schematics. 120026 QAS 325 Volvo Atlas Copco QAS 325 Volvo Diesel generator Spare parts catalog. Operation and maintenance manual. Schematics. 120027 QAS 325 Vd Atlas Copco QAS 325 Vd Diesel generator Spare parts catalog. Operation and maintenance manual. Schematics. 120028 QAS 330 John Deere AC Atlas Copco QAS 330 John Deere AC Diesel generator Spare parts catalog. Operation and maintenance manual. Schematics. 120029 QAS 330 John Deere Atlas Copco QAS 330 John Deere Diesel generator Spare parts catalog. Operation and maintenance manual. Schematics. 120030 QAS 500 Volvo Atlas Copco QAS 500 Volvo Diesel generator Spare parts catalog. Operation and maintenance manual. Schematics. 120031 QAX 12-20-30 Dd Atlas Copco QAX 12-20-30 Dd Diesel generator Spare parts catalog. Operation and maintenance manual. Schematics. 120032 QAX 12 Dd Atlas Copco QAX 12 Dd Diesel generator Spare parts catalog. Operation and maintenance manual. Schematics. 120033 QAX 12-20-24-30-35 Dd Atlas Copco QAX 12-20-24-30-35 Dd Diesel generator Spare parts catalog. Operation and maintenance manual. Schematics. 120034 QAX 40-45-60-70 Dd Atlas Copco QAX 40-45-60-70 Dd Diesel generator Spare parts catalog. Operation and maintenance manual. Schematics. 120035 QAC 500 Dd Atlas Copco QAC 500 Dd Diesel generator Spare parts catalog. Operation and maintenance manual. Schematics. 120036 QAC 750-1000 Dd Atlas Copco QAC 750-1000 Dd Diesel generator Spare parts catalog. Operation and maintenance manual. Schematics.